Our Military's first medal was the Badge for Military Merit, established by General George Washington during the American Revolution and presented only three times. During the American Civil War the Medal of Honor was established and presented nearly 3,000 times before World War I. 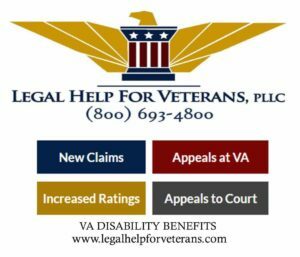 Other than the now obsolete Certificate of Merit and Marine Corps Brevet Medal, it was the only award available in the U.S. Military, and in the Navy and Marine Corps it could only be presented to enlisted sailors and Marines. 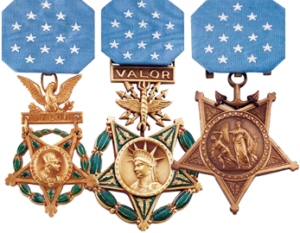 Interesting Fact: At the time of the Civil War, the Medal of Honor was the only award available for recognizing a significant act of heroism while serving the United States military. In some cases, it was awarded frivolously. The Civil War ended in 1865. In 1917, a review was made of Medal of Honor awards with the revocation of 911 deemed to have been awarded without proper merit. Click here for more Interesting Facts about the United States Medal of Honor. At the same time, to recognize deeds of lesser heroism than what was required for the Medal of Honor, as well as to recognize distinguished service and/or achievement that was laudable but not necessarily heroic, a series of "lesser awards" in descending orders of precedence were established in the Military Pyramid of Honor. For more information see Medals and Awards.